superB Dance Theatre was founded by choreographer WooJung Kim in 2009. After her training in London Studio Centre for theatre and contemporary dance, she progressed onto MA course, majoring in choreography at Middlesex University. Her concerns with human life aspects are reflected on her works, mainly using both characters and movements. 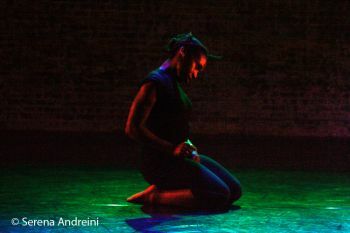 Through the characters, which are usually adopted from fictions, real stories or own experiences, she finds connections between acting and movement. 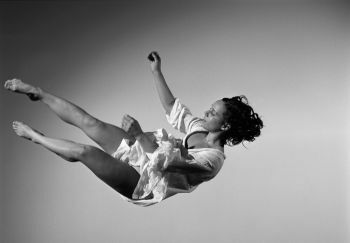 Anima Dance Company is a recently established contemporary dance company, formed in 2009 with fellow students from The London Contemporary Dance School, Middlesex University and independent artists. The company was formed with the objective of researching into the study of movement and presenting conclusions of their research through improvisation, contact improvisation, physical theatre, contemporary and theatre dance. Initially the company focused on presenting the human body performing unnatural, primitive and unusual movement. The name ‘Anima’ represents the company’s propensity to create movement with ‘animalistic’ and ‘animated’ qualities. Anima Dance Company strives to collaborate with different artists and work in varied environments such as theatre and site-specific, and explore and present original, experimental and accessible work. Taciturn have performed at the Leap Festival in Liverpool, The Royal Exchange Theatre in Manchester and as part of the British Dance Edition Fringe event 2008, organised by local artists. Following their three acclaimed performances at Cloud Dance Festival over the past two years, we have invited them to perform all three works at this festival. Established in 2007, CCD is a collection of Cambridge-based dancers and dance artists bringing work to both traditional theatres and more unusual spaces in cambridge and East Anglia. Since its inception, the company has collaborated with choreographers including Isobel Cohen (Helix Dance), Katie Green (made by katie green) and Vanessa Fenton (Royal Ballet) as well as producing work in-house. CCD was recently commissioned to produce a gala evening celebrating the 800th anniversary of the University of Cambridge in the iconic Senate House building, never previously used as a venue for public performance. The company have also performed in college cloisters and museum spaces as well as the more traditional theatre settings of The Junction, the Mumford Theatre and the ADC. Under the Artistic Direction of Joss Arnott, this newly-formed company is beginning to establish itself into the contemporary dance scene. The company will be premiering their new work threshold for Cloud Dance Festival. 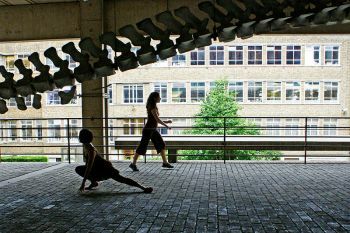 Since showcasing its first work in LABAN's Bonnie Bird Theatre in 2009 the company has grown technically and artistically. The company look forward to future performances and its ongoing development. 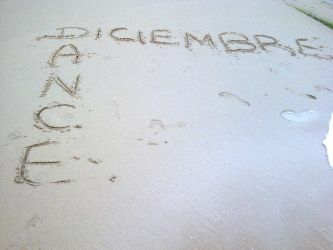 Diciembre Dance Group was founded in 2008 by Lucía Piquero to bring together artists from different backgrounds and disciplines with the aim of using dance as a tool for expression. Musician and composer Alberto García has been a close collaborator from the beginning of the project. Since then, DDG has grown to include co-directors Sara Accettura and Lisa Maiello, and a range of dancers. Choreographies by Lucía Piquero have been performed in different festivals around the UK and in Spain. DDG has also started to present work from other choreographers, the latest being by co-director Sara Accettura and Andrea Santato. A captivating performer and creative force, Julia is dedicated to exploring the intersections between history and the contemporary world, in the process creating a richly sensual experience. Trained at the Boston Conservatory, Julia joined Lori Belilove’s Isadora Duncan Dance Company in 2001. Moving to Italy in 2005, she is currently an international representative of the Company, teaching throughout Italy and creating new work. After joining the Art Monastery Project as Director of Programming in 2007, she has performed and collaborated in the creation of new work in Lodz, Poland and Basel, Switzerland, incorporating actors, and singers, and working with a rotating group of dancers. In 2009 she brought the Isadora Duncan Dance Company to Italy to create and premier La Clausura Sconfinata, an hour long dance theater work (developed with the Art Monastery) that explores the paradoxical richness of cloistered life through dance, baroque music and gregorian chant. In 2010, the little difference words make (song of the sibyl) premiered at Rome's Cometa Off theater as part of the Exit series for emerging artists. Cloud Dance Festival will be the first presentation of Ms. Pond's work in London. Sol Dans is a contemporary jazz dance company founded by American choreographer Melody Squire. Influenced by the music and athletic dance styles of her native Chicago, Melody brings a breath of fresh air to the British dance community. Sol Dans premiered in Resolution! 2008 at the Robin Howard Dance Theatre and continues to entertain audiences with emotionally colourful performances. Mary Sherwin is a contemporary dancer and independent choreographer based in London. Originally from Seattle, WA, she moved to the Uk this past January to study for her Masters Degree at Middlesex University in choreography. Knowing the wide range of opportunities both to perform and choreograph in London, she hopes to take advantage of her experience here and find every avenue to fulfill her passion for dance. Vex Dance Theatre explores the point where dance meets theatre, playing with the tension between body and text. Using this shared space to comment on contemporary society, we invite our audience to question assumptions of the world around them. Taking inspiration from as wide a spectrum as possible, Vex, through rigorous investigation strives to make work that connects with and comments on the real world. Through highly physical and energised choreography we endeavour to make creative, engaging and unpretentious work. The Milo Miles Dance Company (formerly Pangaea Dance) world premiere an excerpt from his exciting new production of Khatchaturian’s “Spartacus” at this summer’s Cloud Dance Festival. This unique company blends Ballet, Contemporary, Jazz, Modern, Latin, Ballroom, Flamenco and Street. Elements of Musical Theatre, Martial Arts, Chinese Folk, Ukrainian and other National dances are also evident throughout MMDC’s work. This truly International Company features 18 dancers from across the globe that includes: Australia, Canada, England, Italy, Norway, Poland, Russia, Scotland and South Africa. Since having a successful career as a professional contemporary dancer working in Europe with both Richard Alston Dance Company and Rambert Dance Company Harriet has moved on to establishing Pair Dance with Sound Design Artist Richard Leonard. Motivated by the opportunity for mutual exchange Harriet Macauley has performed in nationally and internationally to include UK, Spain, Canada, New York, Denmark and Turkey. She continues her commitment to performance and community engagement through community project Body Basic supported by Arts Council England, UnLtd Award and Hertsmere Borough Council. Along side her output of performance works, Harriet (Pair Dance) has engaged in professional performances and community projects at The John Ryan Theatre (USA), Sadler’s Wells, The Lillian Baylis, The Place, Robin Howard Theatre, The Hat Factory, The Brew House Theatre, and a further number of regional, national and international venues.